With iPhone sales really doing well with the release of the iPhone 3G S, Ozaki would like to have a piece of that market as well. So far, the company has been releasing iPhone accessory after iPhone accessory. Remember the iPill? Anyway, this here’s another one of their accessories – the iCoat Wardrobe. 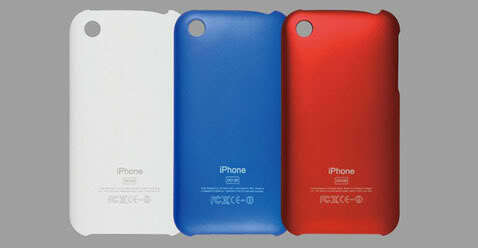 Ozaki adds color to your iPhone with the release of the iCoat Wardrobe series. It comes in 2 sets–for him, and for her–with different color range. Each set includes five (5) iCoat Wardrobe casings and one (1) iCoat Invisible. iCoat Wardrobe casings are custom-tailored–they are carefully made to allow free access to your iPhone’s ports and controls, while offering full protection from scratches, dust and the usual minor damages. It’s easy to install and remove, too! So you can enjoy all the different colors depending on your mood. With the iCoat Wardrobe, your iPhone never looked better. Ozaki is exclusively distributed in the country by MSI-ECS Phils., Inc. For more product information and other inquiries, email marketing@msi-ecs.com.ph, call 688-3180 / 688-3181, or visit www.msi-ecs.com.ph.